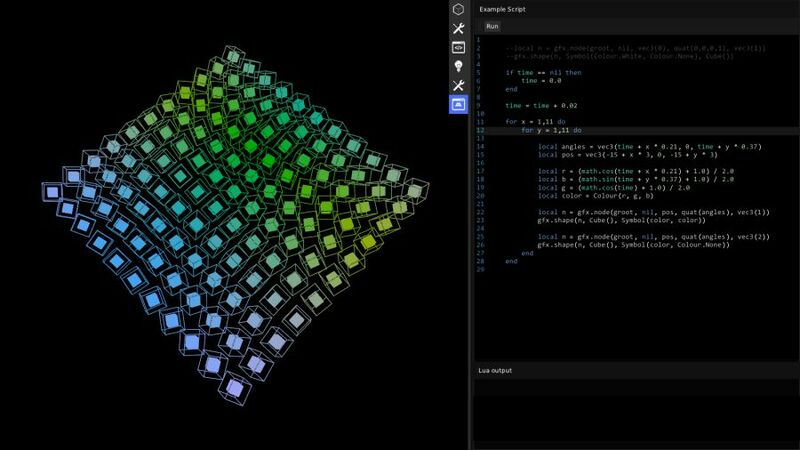 mud is an all-purpose c++ app prototyping library, focused towards live graphical apps and games. mud contains all the essential building blocks to develop lean c++ apps from scratch, providing reflection and low level generic algorithms, an immediate ui paradigm, and an immediate minimalistic and flexible graphics renderer. In essence, mud aims to be the quickest and simplest way to prototype a c++ graphical application: it provides facilities which, in retrospect, you will never want to build an application without. It handles the problem of the code you don't want to write, and should not have to write, whenever prototyping an app. As such the core principle in mud is : don't repeat yourself, and we take this aim very seriously. We also believe it's a principle that is way too often disregarded.